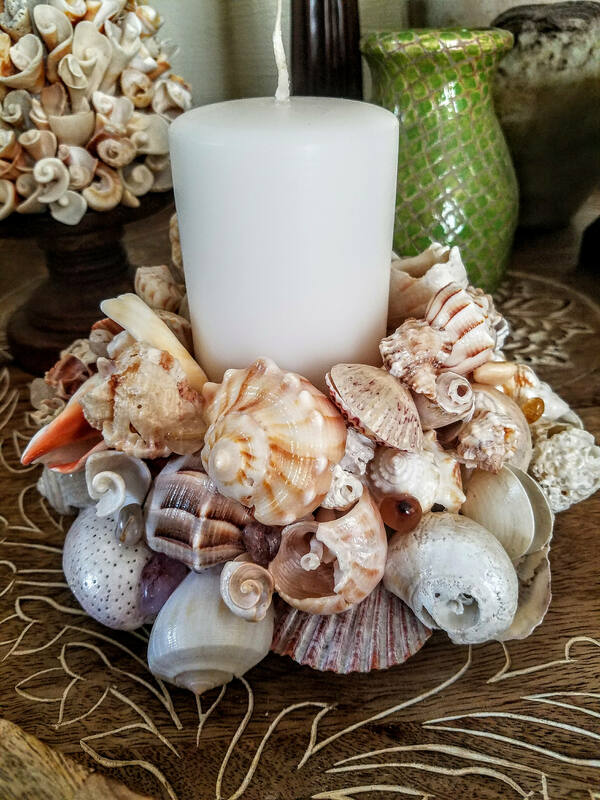 This deluxe, 4 tiered, Seashell Blossoms Candle Pillar Centerpiece is simply esquisite! 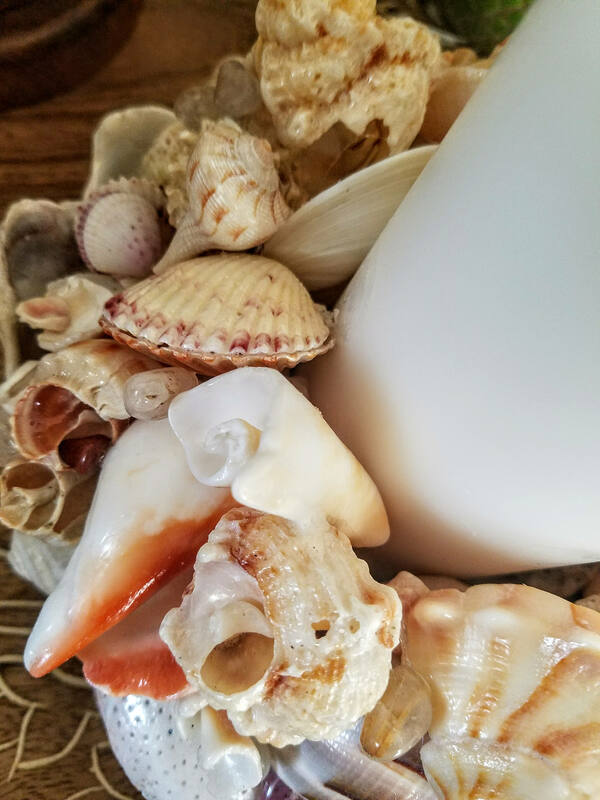 It features my signature blend of weathered and warn, peculiar seashells integrated with prized and perfect ocean gems. Like ornaments on a Christmas tree, nestled between the blossoms, tumbled beach pebbles bring a pop of shine! Mostly monochromatic tones of ivory, tan and blush shades of pink and purple, this piece highlights the Apple Murex seashell, a personal favorite, combined with in tack bi-valve Scallops, Shark's Eye, Fighter Conch and of course the ocean's own "blossoms" opened up by years of weathering, exposing their "pedals". 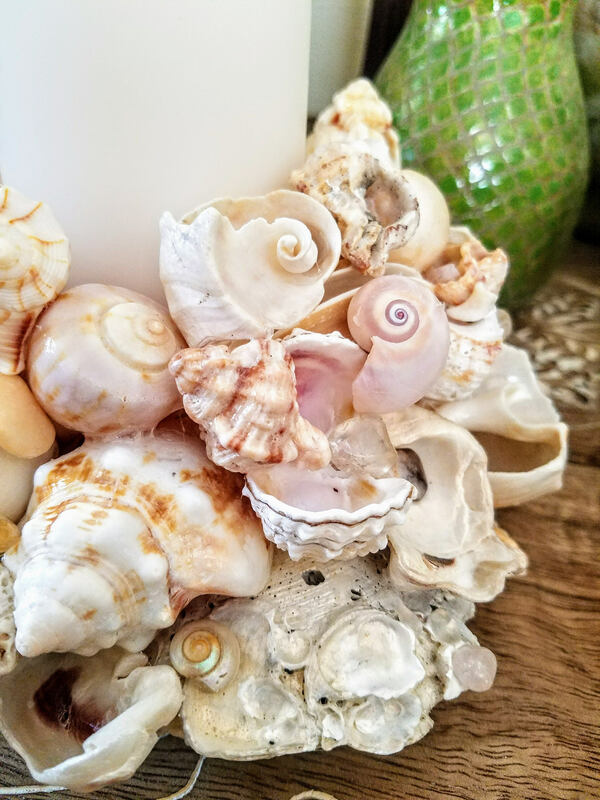 A terrific choice to add to a coastal decor theme, stand alone, unique centerpiece, bridal gift and so much more. This is truly a piece of functional art; sure to become a conversation piece. 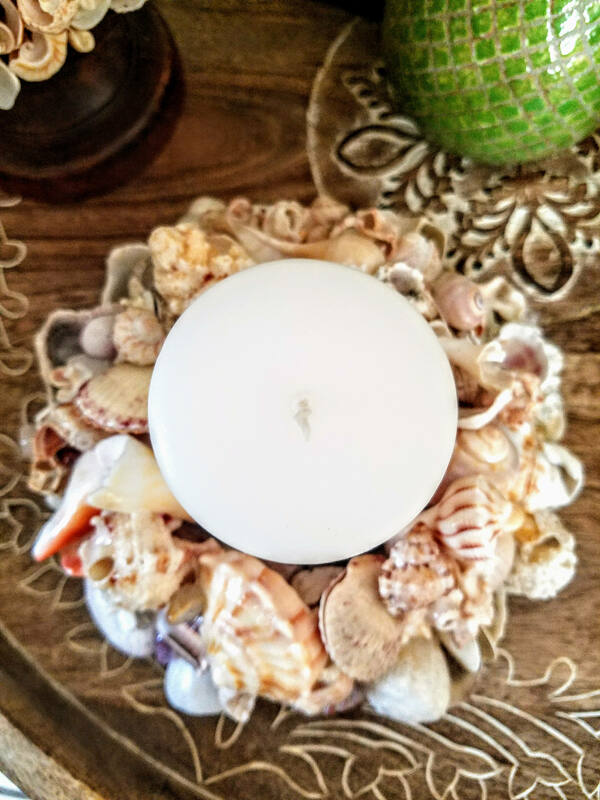 It measures 10" in diameter and supports a 6" pillar candle. It is perched on a powder coated metal base, elevated with small ball feet. Coated in clear sealant for easy dusting. This piece is available for immediate purchase.